Woodlawn's Grand Army Tavern is an elegant wood-slatted hall of refreshing, citrusy cocktails and nose-to-tail, whole-pig butchery. 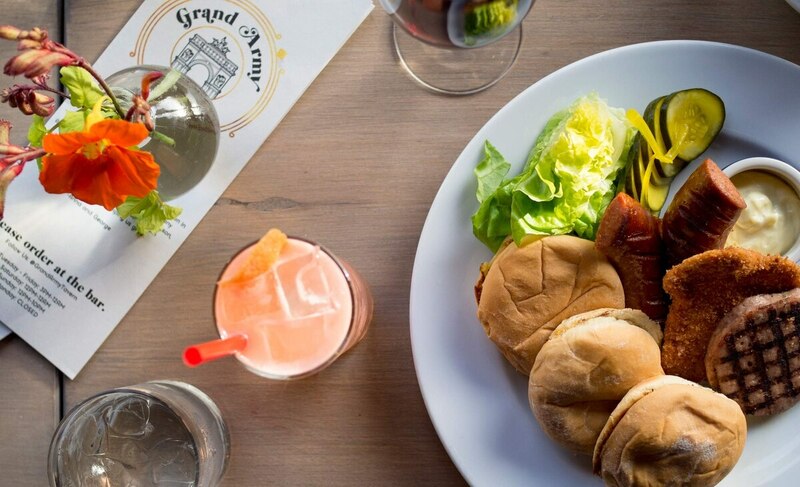 It serves silky palomas ($9) and pork sliders ($15 for the platter) that will fill you up. The rotating selection of little sandwiches are decadent, and you might see anything from an excellent kielbasa to a trashy fried bologna, all served with fatty butter, house pickles and lettuce.